For use with twin Vanos variable valve/timing units on six cylinder BMW engines. Designed for dismantling/assembling and timing of the unit after engine overhaul/repair work. 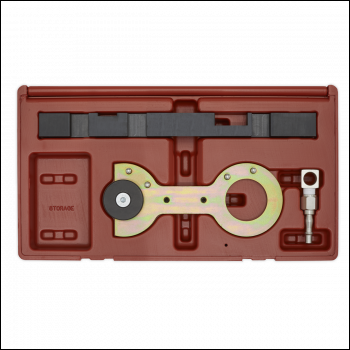 Kit includes twin Vanos setting tool, sprocket/chain assembly fixture and compressed air connector. Used in conjunction with Model No. VS4425 Setting/Locking Kit for engine timing. For use with twin Vanos variable valve/timing units on six cylinder BMW engines. 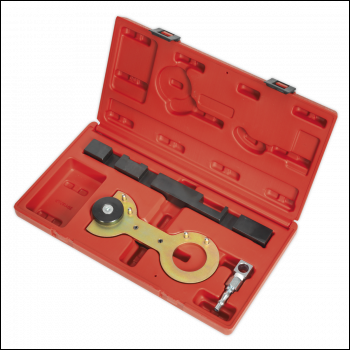 Designed for dismantling/assembling and timing of the unit after engine overhaul/repair work. 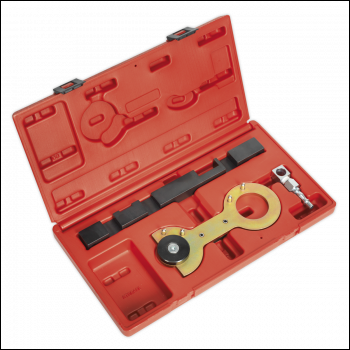 Kit includes twin Vanos setting tool, sprocket/chain assembly fixture and compressed air connector. Used in conjunction with Model No. VS4425 Setting/Locking Kit for engine timing.